This is a $300(!) 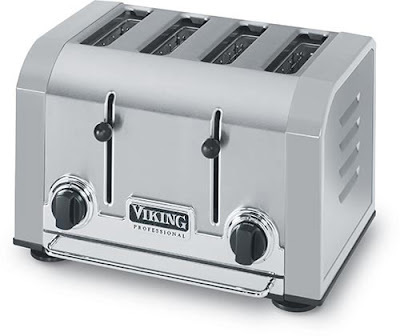 Viking Toaster. 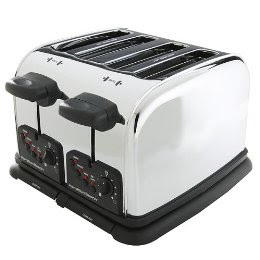 This is a $40 toaster from Hamilton Beach. This is the recall notice for the $300(!) Viking toaster. Why oh why would someone buy a $300(!) Viking toaster in the first place? They are made similar Chinese factories as the $40 workhorse from Hamilton Beach, only the Hamilton Beach toasters aren't being recalled. If you have one of these Viking toasters hang you head in shame because you've been had. You've been had and now you have a $300(!) electrocution hazard sitting on your counter. hamilton beach has a recall in effect also. dualit are handmade in the u.k. i wonder if they're better. very spendy however. i'm thinking it's the chinese made toasters that pose the biggest threat. I would bet you're right Ellen.